Yes, even leather needs to be cleaned – regularly! If greasy soils from food, hair products or even sweat are left to slowly build up & penetrate the leather, it could possibly be too late to remove! Prevention is better than cure, which is why we recommend professional cleaning once a year to prolong the look, feel, colour and wear. 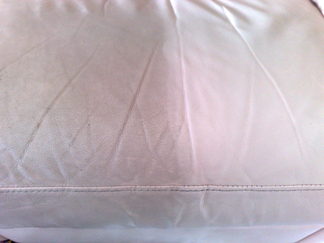 Our leather cleaning services in Stanmore provides a comprehensive system to ensure you get the results you want. This is a safe, no mess – no fuss service where a leather cleanser is applied to remove all soiling from the surface of the leather hide. This is all completed by hand to ensure that your valuable soft furnishing is restored to an as-new condition where possible. Bushey, Edgware, Bushey Heath, Mill Hill, Finchley, Hampstead, Radlett, Bricket Wood, Pinner, Hatch End & Barnet, Whetstone,Totteridge, Potters Bar, Sarratt & Moor Park.